Kathleen Jordan has been an advanced practice nurse in emergency care for thirty years. During this time, she has had the privilege of working in the roles of clinician, educator, mentor, author, and researcher. She is nationally certified as a Family Nurse Practitioner, Emergency Nurse Practitioner, and Sexual Assault Nurse Examiner for Pediatrics. Her specialized area of expertise has always been in the emergency care environment, which has allowed her to develop the knowledge and skill set to care for individuals and families across the lifespan in a fast paced, complex, diverse and unpredictable setting. She has a particular passion for caring for the underserved and vulnerable populations, particularly children and adolescents. 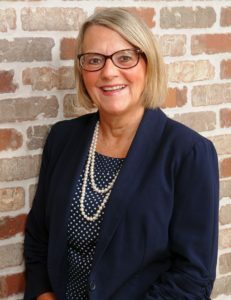 Specifically, she has done a large amount of work in the specialized field of child maltreatment, including direct patient care, education at the local and national levels, evidence-based research, advocacy, and publications. She is the chairperson of a hospital-based child maltreatment team, is a member of local and state child maltreatment coalitions, and a NC Child Maltreatment Medical Evaluator. Shea, S., Hoyt, K. & Jordan, K. (2016). Pediatric Emergent/Urgent and Ambulatory Care. The Pocket NP. Springer Publishing Company. Jordan, K., & MacKay, M. (2015). A case of pertussis: What emergency health care providers need to know. Advanced Journal of Emergency Nursing, 37, 273-280. Jordan, K., & Steelman, S. (2015). Child maltreatment: Missed cases and interventions for the improvement in recognition and reporting. The Journal of Forensic Nursing, 11, 107-113. Jordan, K. & Nadler, M. (2014). Children at Risk of Maltreatment: Identification and early intervention in the emergency department Advanced Emergency Nursing Journal, 36, 97-106. Love, R., Murphy, J., Lietz, T., & Jordan, K. (2012). The effectiveness of a provider in triage in the emergency department. Advanced Emergency Nursing Journal, 34, 65-74. Jordan, K., Hoyt, K. & Shea, S. (2014). Emergency NP/PA pocket reference guide: Pediatrics. EmergeED Publication (In press). Jordan, K., & Moore-Nadler, M. (2014). Children at risk of maltreatment. Identification and intervention in the emergency department. Advanced Emergency Nursing Journal, 36, 97-106. Love, R., Murphy, J. Lietz, T. & Jordan, K. (2012). The effectiveness of a provider in triage in the emergency department: a quality improvement initiative to improve patient flow. Advanced Emergency Nursing Journal, 34, 65-74. Jordan, K. (2010). Gynecologic emergencies. In P. Howard, S. Sheehy, & R. Steinman (Eds. ), Sheehy’s emergency nursing: Principles and practice (pp. 578-590). St. Louis: MO: Mosby Elsevier. Matkins, P. & Jordan, K. (2009). Pediatric sexual abuse: Emergency department evaluation and management. Advanced Emergency Nursing Journal, 31, 140-152. Jordan, K. (2008). Sexually transmitted infections: A major health challenge for advanced practice nurses. Advanced Emergency Nursing, 30, 63-74. Jordan, K. (2007). Genitourinary emergencies. In K. Hoyt & J. Selfridge-Thomas (Eds. ), Emergency nursing core curriculum (pp. 387-409). St. Louis: MO: Saunders Elsevier. Jordan, K. (2007). Obstetric and Gynecologic emergencies. In K. Hoyt & J.Selfridge-Thomas (Eds. ), Emergency nursing core curriculum (pp. 387-409). St. Louis: MO: Saunders Elsevier. Association of Pediatric Nurse Practitioners.